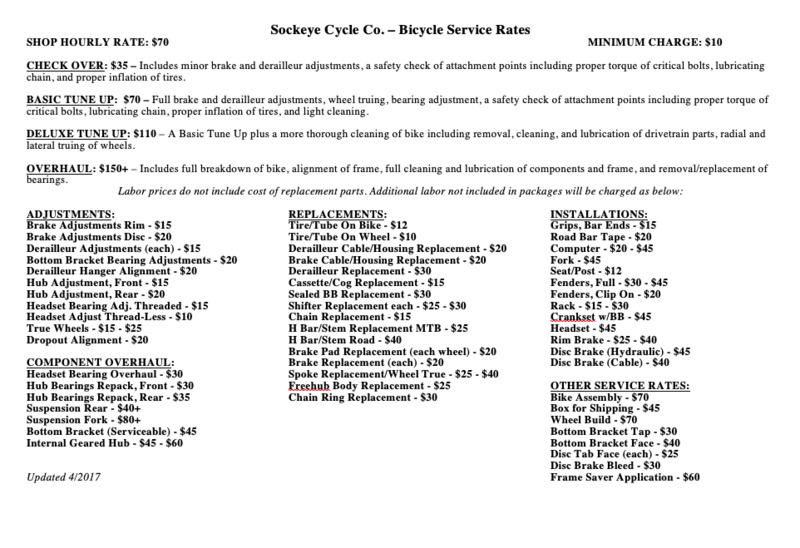 Sockeye Cycle is a Specialized and Trek dealer. In addition, we stock bikes and accessories from: Surly, Redline, Torker, Chariot, BOB, and many more. We carry all categories of bikes and a large assortment of accessories and apparel. Anything that we don't have in stock can be ordered and delivery generally takes two weeks. We ship bikes to all Southeast Alaska communities and the Yukon.